The featured Almasi game is analyzed by IM Andrew Martin on his Youtube Chanel-The Yately Manor Chess Master. GM Almasi rolled out the big guns and went for 6.Bg5 against the Sicilian Najdorf. GM Harikrishna defended with 6…Nbd7 and a sharp battle followed. The position is sharp. White has just attacked the queen with 28.Nd7. What do you recommend for black? GM Almasi won a complex defensive battle against GM Harikrishna,P in rd8. White has sacrificed a rook for a quick knockout on the kingside. A precise defense is required. What do you recommend for black? GM Almasi took clear first in the recent Capablanca Memorial. In round 4 he won with a nice attack using the ever popular English Attack against the Sicilian Kan.
White has a nice attack going. The g,h files have been cleared; white’s queenside is secure from counterattack and Ba6 is just a spectator. What do you recommend for white now? ‘For the first time since 2010 the Capablanca Memorial Elite group did not include GM Vassily Ivanchuk among its participants. In his six trips to Havana, the Ukrainian has only lost two games and only once was his ultimate triumph in danger. His unfortunate absence led to a variety of predictions and more than a few hoped GM Leinier Dominguez would win his third title in this event. As it was, the best chess player in Latin America, with 2723 Elo, finished in third place. In the Elite there were several unexpected results. 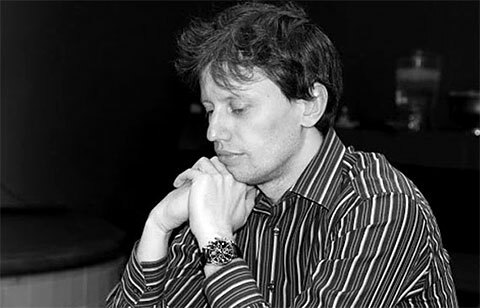 In his first trip to Havana, the Hungarian Zoltan Almasi (2689) left a very good impression, and dominated the group with 6.5/10, thanks to four wins, five draws and a lone setback. Comments by IM Andrew Martin from his Youtube chanel.